Online gambling is very popular in Britain. In 2010, around 77% of UK citizens aged 16 or over stated that they had gambled at an online or land based casino at least once in the previous year. In 2013, the Independent reported that gambling in the UK exceeded the £2 billion mark for the first time. A large part of this was due to the growth of online casinos, and the increasing interest in online gambling. Responding to this demand, new online casinos are springing up in the UK all the time. One site, which monitors new UK casinos, discovered over 225 new online casinos in March 2017 alone. Is every new casino a good thing? What makes a new casino something to get excited about, and why might we have reason to ignore a recently established business in the online gambling world. Perhaps the main value in a new casino lies primarily in its ability to fill some as yet unfilled niche. Does it offer enhanced security? Can it provide features that most existing casinos cannot? Read on to discover a selection of the reasons why Brits might have reason to get enthusiastic about a new UK casino. All gamblers are searching for that dream online casino that makes it easier for them to win. If a recently established casino offers good odds and an attractive house edge, this could be one reason to switch over from the casinos you had previously been using and to sign up to that new casino instead. A recent study found that between 1/6 and 1/5 of online gamblers state that being able to access themed games is very important to them. Online casinos already offer a variety of themed games, some of them more weird and wonderful than others. If you have always wanted to play poker on an intergalactic space ship with a live dealer dressed as an alien, we’re pretty sure that you will be able to find a great online casino that will let you do just that. Some gamblers have very specific tastes, however, and are still waiting for their desires for a specific themed game to be fulfilled (do you want to play roulette with piles of fluffy anime bunnies rather than gambling chips, perhaps?). Keeping your eyes peeled for new casinos is always a good idea. This is the internet: if something doesn’t exist on here yet, you only have to wait for it to be invented. 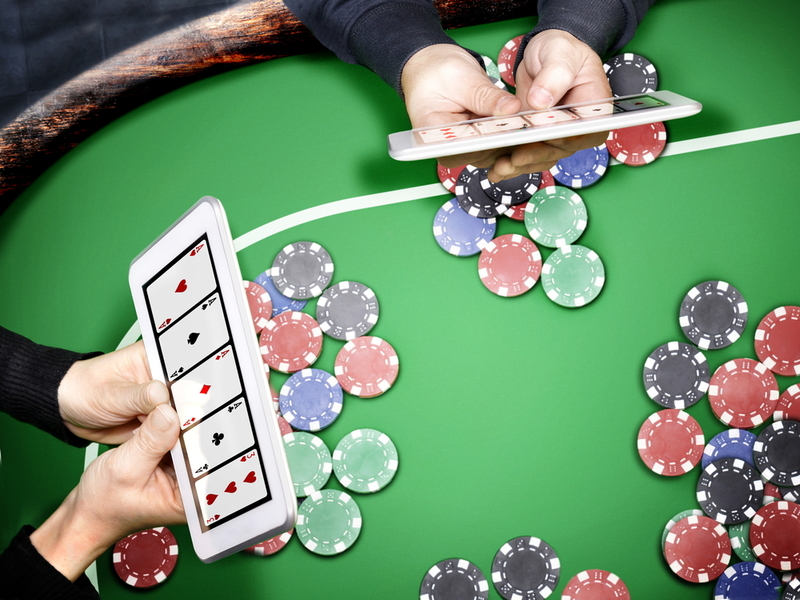 Perhaps the most exciting technological development in the online gambling world in recent years has been the integration of video technology with traditional casino formats to create live dealer games. Liver dealer roulette, poker, blackjack and other live dealer table games have become all the rage, with plenty of online casinos offering them on a regular basis. Nevertheless, new technological avenues remain to be explored. Have you always hankered after poker played in virtual reality, for example? A new UK casino that deploys exciting new technology in a genuinely innovative way is always worth a closer look. New experiences can enhance the thrill of gambling, and the best new casinos will be one that continue to push the boundaries of what can be achieved. A word to the wise – is that ‘best new casino’ too good to be true? Online casinos can come and go, often in a matter of months. Casinos that manage to stay the course usually do so because they have built up a good reputation for themselves thanks to fair dealing, an extensive range of games, attentive customer service and good security – as well as having a house edge that is not too harsh. It can be hard to evaluate a new UK casino, as it will not have the abundance of user reviews that more established casinos do. However, before you label that exciting alien themed online poker venue as the best new casino you have ever found, it is worthwhile considering a few points. Firstly: is the casino licensed? If so, that means that the UK Gambling Commission has officially approved it; this is a good sign. Secondly: is it transparent about fees, commissions, payment methods and the times taken to process a withdrawal. If so, this is another good sign: the casino is prepared to deal fairly, ostensibly at least. Thirdly: does it support trusted payment providers such as PayPal? If it does, this suggests that it offers good security, as PayPal is usually very picky about whom it partners with. Finally, give the customer service helpdesk a quick call or email and see how quickly and how well they respond. Attentive customer service is another good sign that you are not dealing with a scam. Found an exciting new place to gamble online? Are you going to keep your secret to yourself or let the world know about it? One great thing about new online gambling sites is that they tend to be very keen to entice new customers to come and play with them. Expect lots of welcome bonuses and promos galore – just be sure to check the small print before you apply a certain promo code.